As help wanted ads go, this one may be as specialized as they come: Chief Shark Officer. Seriously, this comes from the Discovery Channel and appears to be legit. If you enjoy swimming with sharks and talking about sharks, and possess a TV-host personality and sense of humor, you might want to apply ASAP. Salary: Chump Change (we spent an hour coming up with that!). 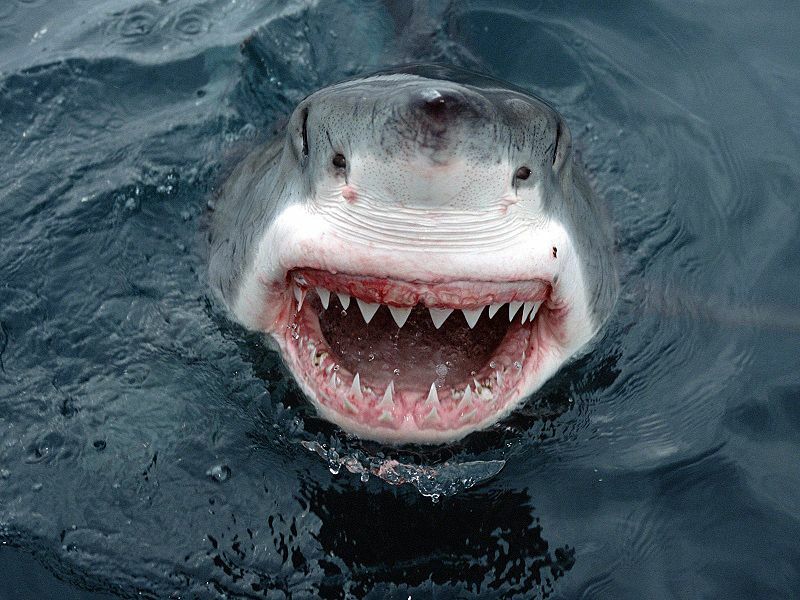 Job Description: Discovery Channel is looking for a fun-loving, fast-swimming personality to be the first ever Chief Shark Officer for this year's Shark Week. As we circle in on our 24th year, Shark Week has captured the zeitgeist that began with Jaws and is synonymous with summer. As the CSO, you will be required to swim with sharks (accompanied by professionals, of course), attend Shark premiere parties in NY, LA and Miami (accompanied by celebrities, of course) and help spread the word about the world's most misunderstood predator. Please forward resumes, audition tapes and blood type to Discovery Channel c/o Elizabeth Hillman. Two things pop out right away: One, "lots and lots of insurance and some great dentistry"! No mention of a 401K, but, nonetheless, how awesome is that? Two, send your "blood type" with resume and audition tapes. Hmmm. Do you get the idea that this might end up being a temp job? Thanks to GrindTV Outdoor for the tip. Fishing from a Cliff: Did he have enough line to reach the water? Sounds serious, I might find out how to walk on water.or run.